JERSEY CITY, N.J., Aug. 08, 2018 /PRNewswire-PRWeb/ — The Beta Plan launches new services to help developers ‘get the bugs out’. The XReality games market is heating up, and with it, so is the competition. The need for quicker, more thorough testing of VR games is increasing, and The Beta Plan is geared up to meet the demand for application testers. XReality gaming is an all-sensory encompassing virtual reality experience for players. Having anything less than an ideal experience within a game can, not only be frustrating for the player, but can also end up being a disaster for the publisher. XReality requires testing in all facets of virtual reality gaming, making beta testing even more important than ever. As a client-driven rating system, The Beta Plan has entered this space, designed to provide the high quality, product-improving feedback publishers and developers need to improve application experience. Testers are qualified by The Beta Plan, and rated by publishers based upon the quality, efficacy, and overall contribution of their feedback to improving applications. The Beta Plan offers an array of services – gameplay, usability, and comfort testing; analytics and reporting; playtest videos, project dashboard – across a broad range of VR devices. Feedback is provided by testers and end users who have been vetted and rated. The Beta Plan was created by a team of developers and product specialists who know what developers and product specialists in the XReality space need. 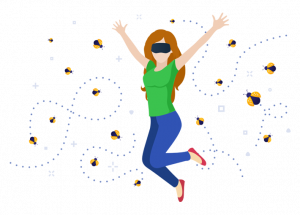 The Beta Plan, through a broad variety of services, provides XReality testing and user insights with a focus on helping developers to build immersive, virtual reality experiences. Testers are well vetted and experienced in testing and reporting. The team behind “The Beta Plan” has developed technology for leading retailers, fortune 500 companies, and digital enterprises. 3 Reasons to Beta Test!